Christmas is just around the corner, and if you haven’t gotten on your holiday shopping for that designer or developer in your life, we’ve got you covered. Check out our 2013 holiday gift guide! CSS preprocessors are all the rage these days, and if you’re still using plain ol’ vanilla CSS, it’s time to step up your coding game. This book will help you get started with Sass, teach you a few basics, then it’ll go into more advanced concepts to help you take advantage of this powerful preprocessor. 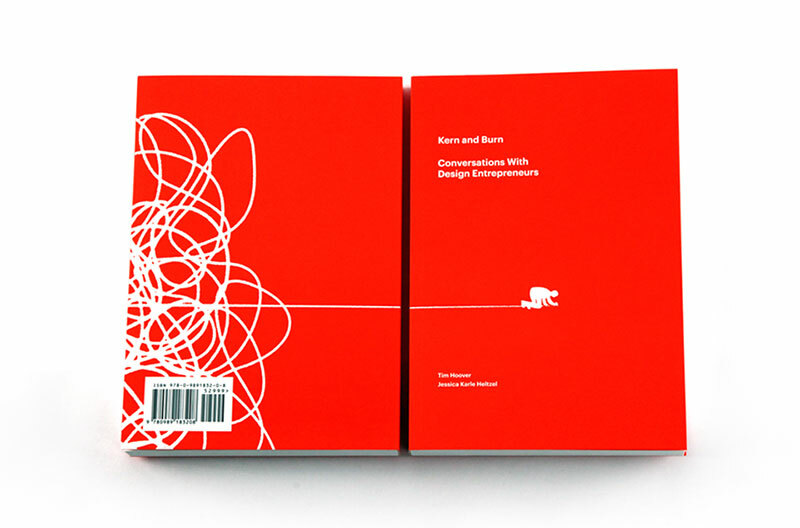 If you want a closer look into how some of the industry’s most successful got where they are, Kern and Burn is a great read. 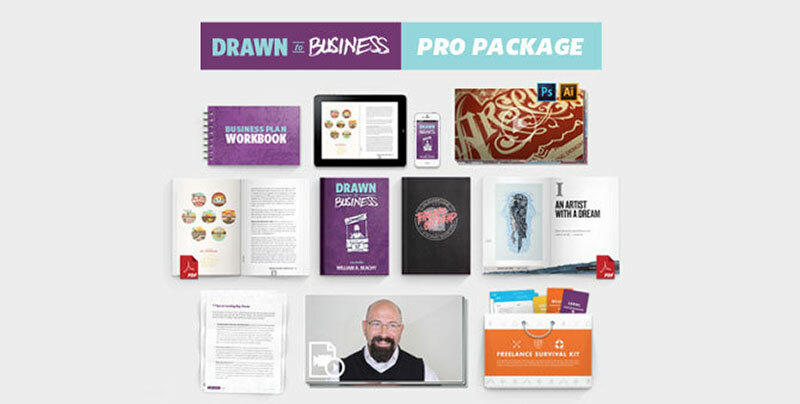 The book itself is only $37, but if you’ve got the cash to spare, go for the Pro package — it includes bonus videos, extra books, 20+ bonus PDFs and templates, and GoMedia’s Freelance Survival Kit, which contains the tools you need to be a successful freelancer. Your first year as a freelance designer can be rough, but it doesn’t have to be! 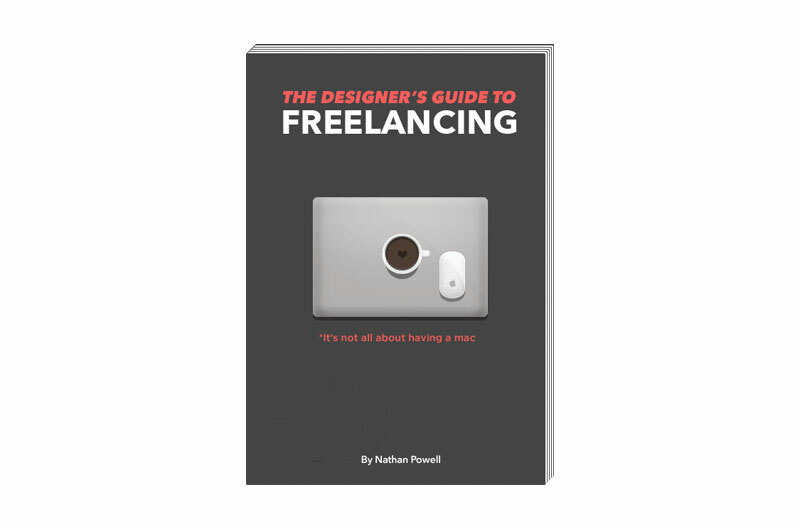 The Designer’s Guide to Freelancing will arm you with the information to help you gain financial independence and find more creative freedom. Pre-order before December 17 and save 30%! Learning to draw can be a valuable skill. Aside from creating mockups, it’s essential in helping you flesh out your creative idea. This book gives you the basics for drawing and is considered an indispensable resource by many product designers. Responsive web design is what today’s web is all about. This book gives you a practical approach for client expectations, designing in the browser, and creating comps. Responsive design isn’t going anywhere, so let this book be your guide. This book is for the font lovers out there! You’ll know typography terms backwards and forwards from ascenders to x-height. Great for letterists and typographers. Archie Boston is a legend in the art and design fields. This book is more than just an autobiography — it’s a look into the working world of design through the eyes of a luminary. This collection of paperback books isn’t about design, but it does contain knowledge necessary to learn how to live a more balanced and fulfilling life. 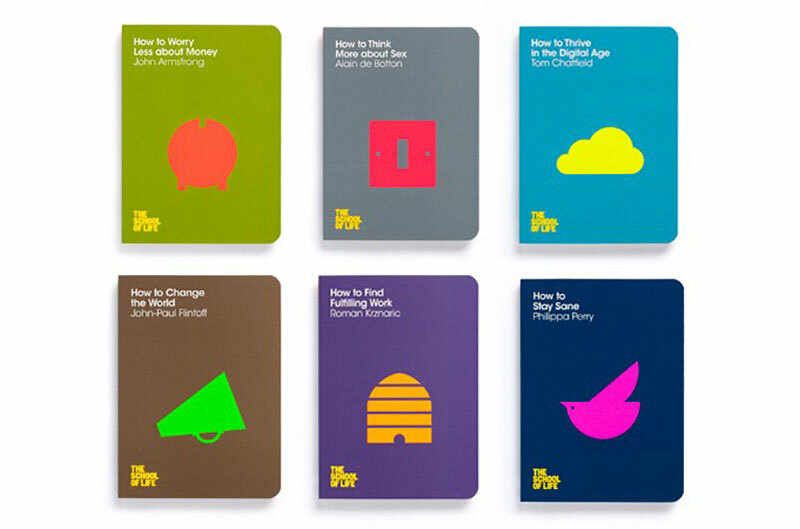 And look at those beautiful, minimalist covers! Like Visa, Dropbox is everywhere you want to be. Share and store files between laptops and devices and keep your latest projects and designs right at your fingertips. For you non-techies, Dropbox is great for storing and syncing photos, and a lot of writing apps for iPad and on the web let you save directly to Dropbox. This upgrade bumps you up from the standard 2GB space to a whopping 100GB! Whether you love or hate Adobe’s new subscription model, Creative Cloud brings the best of Adobe’s current suite of products to you in a simple way that’s easy to manage. Only want to use one app? Then pay $120/year and get all the latest updates. Or go all out with the complete Creative Cloud Suite, which includes tools for designers and developers, along with access to TypeKit and Behance integration. Updating your portfolio right from Photoshop or Illustrator? Genius. Amazon Prime is a lifesaver. Aside from free two-day shipping on most of the items they sell, you also get to borrow books from the Kindle Store, and you have access to their premium selection of movies and TV shows through Amazon Video. At $79/year, this is a bargain. If you’re just learning to code or design, or want to strengthen your current skill set, there’s no shortage of online training websites. Some of the most reputable ones in the web industry (Lynda, Learnable, Treehouse, Code School, Tuts+) feature dozens of lessons with video instructors and downloadable files to help you along the way. Don’t want to be locked into a monthly deal? No worries — check out Skillshare, a website with hundreds of courses in a number of different subjects. Classes are online (and some are local), and some are even self-paced, so you can fit it into your schedule at any time. AIGA — celebrating 100 years in 2014 — has more than 22,000 members throughout 66 chapters and more than 200 student groups nationwide. A membership lets you get involved in your local AIGA chapter, gives you access to professional development opportunities through their extensive event calendar, and has some pretty choice benefits and discounts. It’s a new MacBook Pro. Like any designer or developer would turn this down. We love the iPad mini around here. The retina display is utterly gorgeous at this size, which makes it great for reading, quick sketches or note taking, watching videos, making wireframes…you name it. We love it so much we even gave one away back in October. Oh wait, did you miss that? You’ll be able to charge that snazzy new iPad mini and any other gadgets you have with this little beauty. A quick shake will show you the current power level, and it’s small enough to fit into a backpack or a back pocket. Google’s thirtysomething-buck dongle came on the scene this summer as a bit of a surprise. “It only plays YouTube videos and Netflix? And it broadcasts Chrome tabs?” But that was just the beginning. Now this little device streams from Google Play Movies & TV, Google Play Music, HBO Go, Hulu Plus, Pandora, Plex, Songza, Vivo, and more! Bitcasa, Blip, Aereo, and Vimeo are in development, so grab this little baby and get the cheapest and simplest way to add Internet to your HDTV. They’re not Beats, but for this price you’re getting a really solid pair of headphones with great responsiveness and audio quality. And they’re super comfortable for those long designing or coding sessions! Over 1,000 five-star reviews on Amazon can’t be wrong. Here’s an industry secret — one of the simplest ways to make connections at a conference, coffeeshop, or meetup is to bring your own power strip. Wanna know another way? Bring your own 4G data! Sharing your connection earns you free data (100MB every time someone hops on) and you can connect up to 8 devices. Pay only $14/GB of data that you use, and it never expires. Charge this baby with the Anker charger in this gift guide for maximum effectiveness. Two chargers on one list? Overkill maybe, but this one is worth mentioning. thingCHARGER is a simple, elegant new way to charge all your things. Not only can you keep both outlet plugs free to charge, but thingCHARGER can be stacked with up to three chargers and still work effortlessly. The video really sells it, and higher pledge levels mean you get multiple thingCHARGERs. They just extended their fundraising campaign to January 12, 2014, so get in on this now! Moleskine notebooks and the creative industry go hand in hand, it seems. We like the 5″x8.25″ size best for note taking and general idea gathering. Choose from a hard or soft cover, squared, ruled or blank pages. Pair it with this custom leather cover from One Star Leather Goods and a really nice pen, and you’ve got a practical gift any designer or developer will love. If you’re a font lover, this 2014 calendar is just for you. Each day features a different font; 232 font foundries from 26 countries. You’ll definitely find a font in here that you’ll want to use in your next project. Postcards might seem like a wack holiday gift, but these are postcards from House Industries, the masters of mid-century modern typography. Each box has 100 different designs, and you can use the postcards for a number of tasks, like thank you notes to clients or vendors. You might even want to keep them for yourself and mount them in a nice frame for your office. Whatever you decide, this is a great way to have a little of the House Aesthetic for your very own. One of the questions we ask here is “Where do you see yourself in the next five years?” It can be a daunting question, but this 5 Year Diary can be a great way to plan for just that sort of thing. Take stock of your time with this stylish journal and stay ready. We recently picked up Issue 7 of Offscreen (you may remember their Kickstarter campaign from a few years ago), and it is absolutely gorgeous. More than that, it’s a testament to overcoming a setback and still producing quality work. Each issue is sturdy, chock full of interviews and articles, and is a great read on a lazy Sunday afternoon. The magazine is published triannually; we recommend picking up issues 7, 8 and 9 for 2014. This has nothing to do with design or development — it’s just a super fun party game, especially after a few drinks. ‘Tis the season, right? It looks like a big sweatband, but if you’re always on the go traveling, this pillow will be your best friend. It’s lightweight and cool to the tough, and makes a great pillow to catch a few Z’s with either as a mask over your ears and eyes, or folded up into a square. When you’re not using it, wear it around your neck or stuff it into your bag for easy carry. This handmade wallet is great to have when inspiration strikes. With room for a few cards and a few bills, it also sneaks in a Moleskine Volant Journal and a Fisher space Pen Stowaway for jotting down notes. (The wallet comes with these also — a $20 value!) The Hermann Oak leather will get more supple as you use it, making this a wallet you’ll keep for years. Subscription gift boxes are all the rage these days, and you can generally find one to suit your interests, no matter what they are. For designers and developers, here are a few we think are awesome: Lootcrate, ArtSnacks, Quarterly, and DesignerBox. These subscription prices range from $10-$60, so shop around and find one you like best. If you like sketching wireframes, this stencil kit from UI Stencils will speed up your workflow dramatically. There’s a handy pixel ruler at the top, stencils for browser tabs and common icons and it comes with a carrying case and that Zebra #2 Mechanical Pencil. Take your wireframes to the next level! Tablet computers are great to use…well, except that you have to hold them all the time. The TabletTail solves that problem by letting you mount your tablet on a powerful vacuum suction pump attached to a sturdy prehensile “tail”. Use it at home, on the go, or in the office. You’ll fall in love with it from your first use. 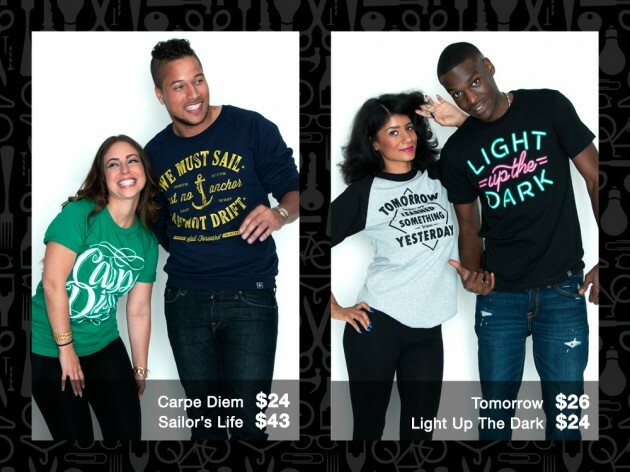 Great looking t-shirts with dope typographic treatments of inspiring quotes? Yeah, you’ll want to be seen wearing one of these at your next meetup or coffeeshop run. Check out our interview with Random Objects founder Anthony Simpson, and use discount code REVISION and save 10% off your order!